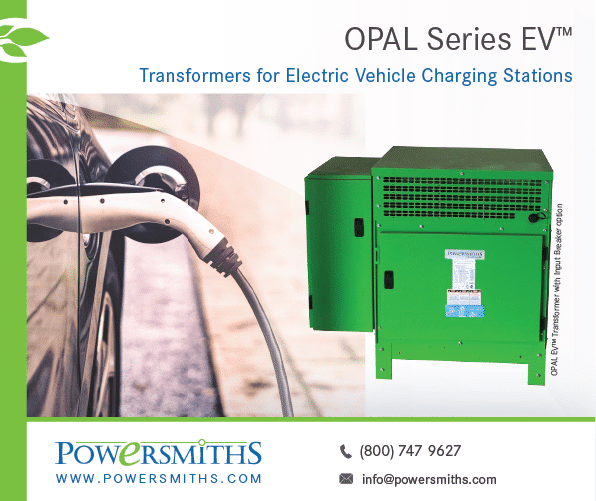 The OPAL™ – EV Series (Models 240V & 208V) are ultra-efficient low-voltage dry-type isolation transformers optimized specifically for feeding Level 2 Electric Vehicle (EV) Charger applications, where loading varies from many hours of idling, to periods of heavy demand. The OPAL-EV design delivers top performance for EV Charger applications. 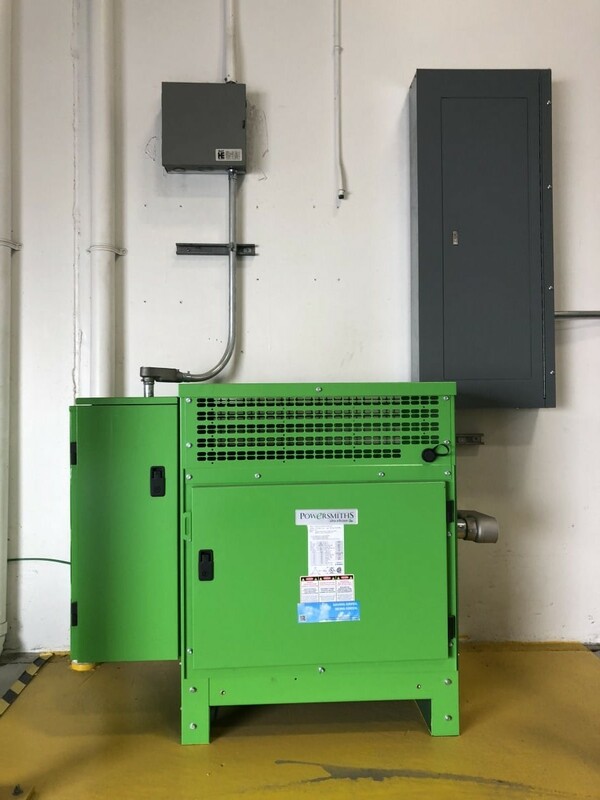 Features include from minimizing idling losses when there are no cars charging, to leading efficiency under heavy charging load, as well as the rapidly fluctuating loads in between. Powersmiths leverages its design best practice called OPAL – Optimized Performance for the Application Load, which in addition to efficiency optimization, considers the system as a whole, including load profile, impedance, arc flash, fault level, inrush, harmonics, and more. One of the achievements is very quiet operation – which can be an important consideration. Verified Performance is achieved by tight feedback loop between design, onsite manufacturing, and extensive real-world testing. Significantly lower operating losses. 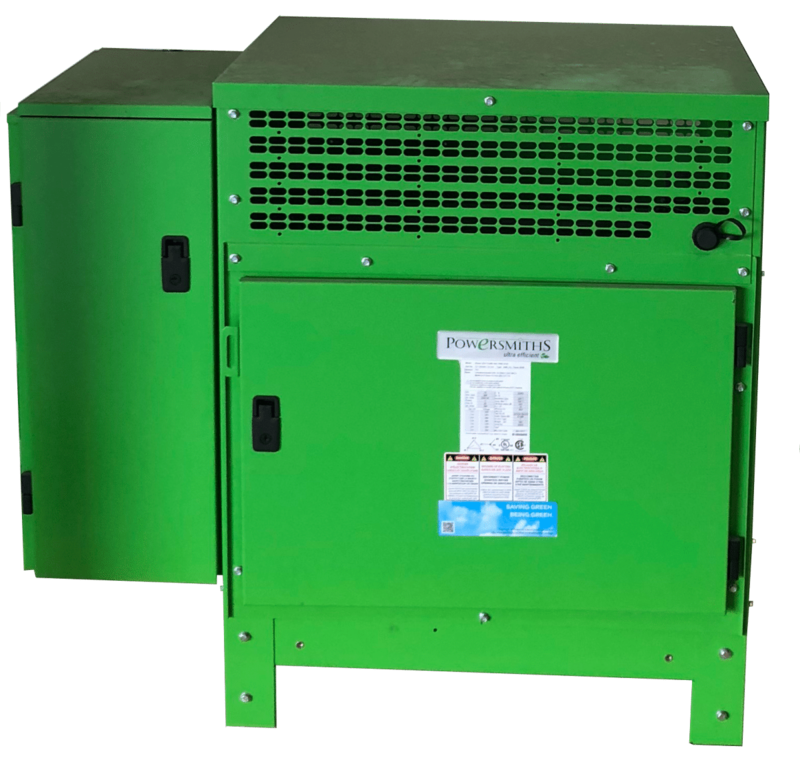 Compared to industry standard transformers, OPAL-EV reduces losses15-30% (depending on operating conditions), helping to drive down building energy consumption, resulting in reduced renewable energy offset requirements. Integrated energy metering/logging options. Since the EV energy is used offsite, this option enables EV Charger energy use to be subtracted from the overall NET ZERO energy building calculation. Tracking this translates into a smaller required capacity and lower cost of renewables to meet Net Zero. E-Saver OPAL™ series maximizes savings. Compare each model’s optimized load range and the application for the most transformer energy savings. All PDUs Come Standard with OPAL™ Series Transformers: Application Efficiency Optimized with Managed Inrush Currents. ***K-Rating per IEEE-C57.110. The high K-factor rating is not the goal of the design, but a consequence of the low current densities used to achieve the high loading efficiency goals.